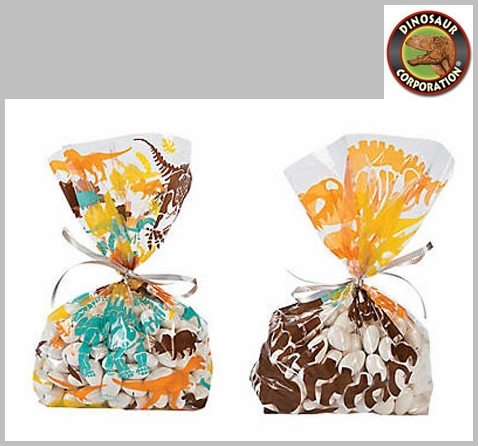 Dino Dig gift bags are perfect addition to your dinosaur theme party! Fill cellophane bags featuring T-rex, Triceratops, Brachiosaurus and Stegosaurus skeletons with dinosaur toys and treats that your party dino guests will love! 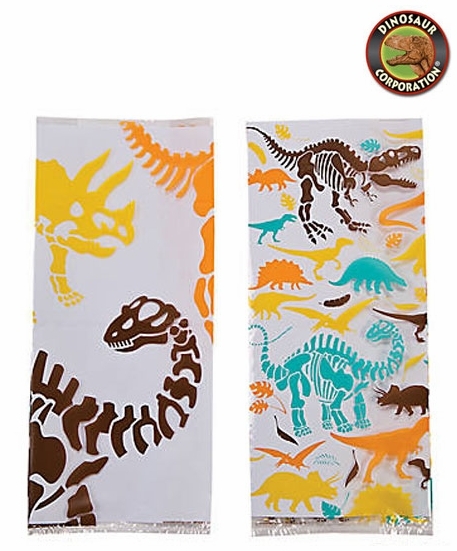 Find many more dinosaur birthday party supplies and dinosaur party decorations in our dinosaur store by searching "dinosaur".